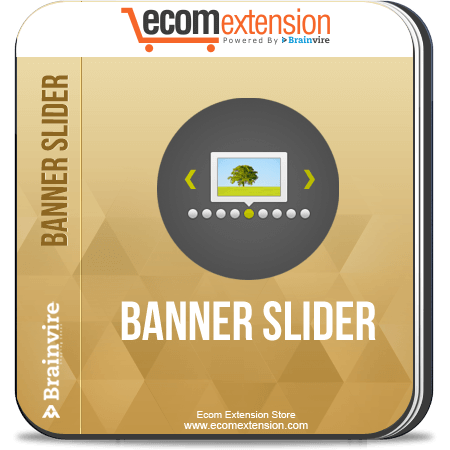 Magento Banner Slider Extension provides store owners with attractive Banners to display at the top of their online store. Magento Banner Slider Extension enables you to add eye catching banner sliders to your ecommerce site at the top. Banners can be displayed for different advertisers or to run some promotional campaigns. The Image slider extension for Magento can be used to attract new customers for your website. Creating great banners gives your site that extra attractiveness and lures new customers to your store. 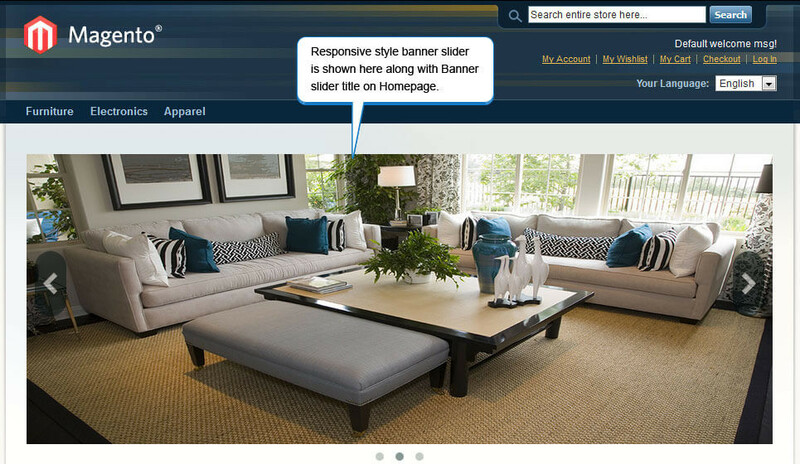 Ability to see banners as a slider of images on the Homepage or on each category page. 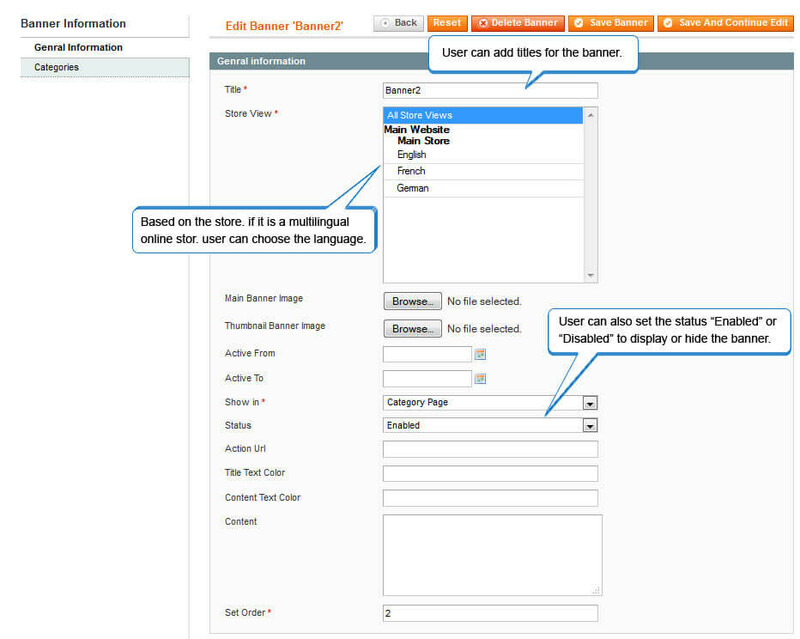 Images can be add/remove from the admin panel with the following information: Title, URL and description. Allow uploading images and links leading to the detail pages. Ability to set the delay time of each image. Allow exporting the list of banners to CSV/XML files. Able to mass change status or delete a list of banners. 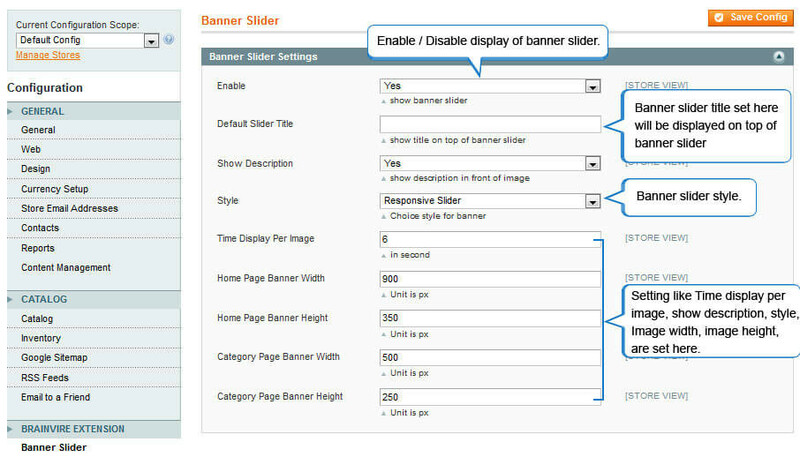 Enable / Disable display of Banner Slider. Ability to set Banner Slider Title. Display of Banner images on Banner Manager. Admin can set the duration to keep the banner active by entering the ‘active from’ and ‘active to’ dates. Admin has the ability to change the text color of title as well as content. Compatible with Magento Community version 1.4.x.x, 1.5.x.x, 1.6.x.x, 1.7.x.x, 1.8.x.x and 1.9.x.x also. To enhance the credibility of your online store, our Banner Slider Extension is the perfect choice to opt for. It will not only enhance the credibility of your store but will make it more functional, eye-catchy and attractive to the users.